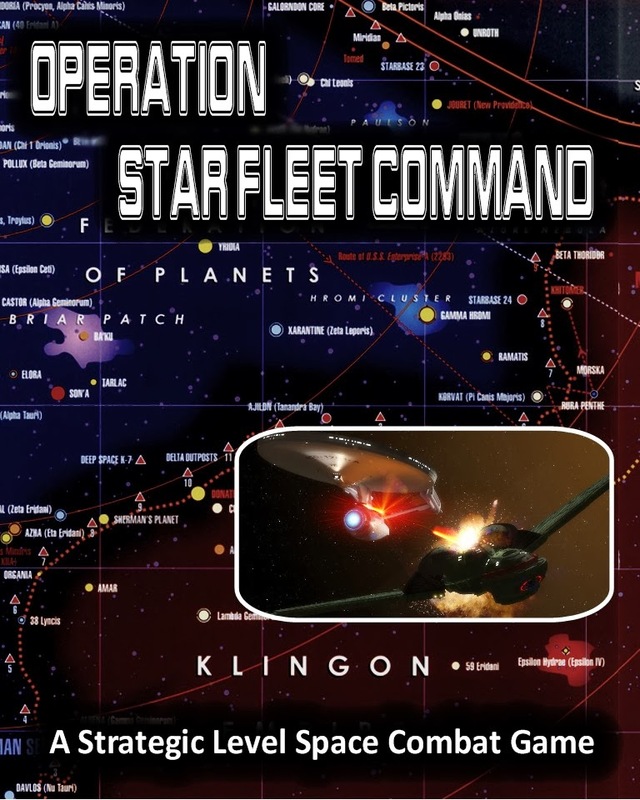 Operation: Star Fleet Command - Ship Counters and more! 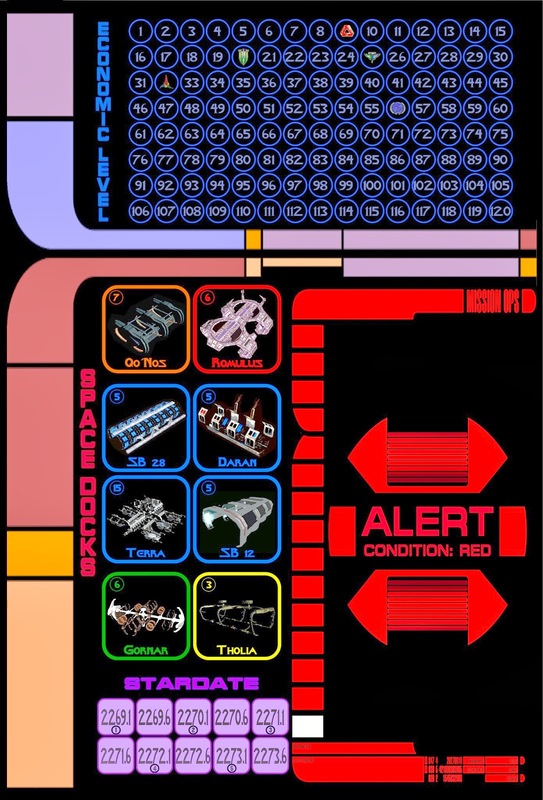 Well I finally have the ship counters, Order of Appearance sheets, and the next version of the rules. Sorry for those of you who have been patiently waiting for a chance to play the game. It is still a work in progress: I don't have the victory conditions finalized, the beginning forces are still not as balanced as I would like, and there are still plenty of many typos in the rules. But they are now available for your enjoyment. The ships work best if printed on sticker paper and then placed on chipboard or card stock. Each ship sheet has a "patrol" and "raid" side and are laid out in mirror image for ease of application. The rules have undergone a update. The changes are the result of play testing with my friends and various local game groups. The biggest change is the addition of Task Forces. This has made the game a whole different beast and really changed the strategy. So play it and have fun. Feel free to send feedback. 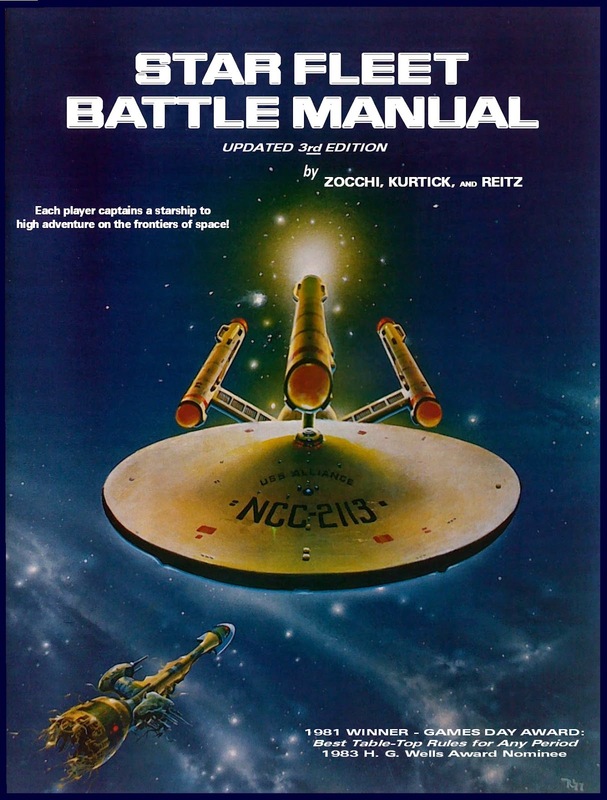 Star Fleet Battle Manual 3rd Edition is HERE! It is finally here! After more years than I would like to think about, and the on-again-off-again battles with Lou, the project is done and available for sale. Hopefully this release will go well for Lou - he is still terrified of piracy and he won't advertise so I'm not sure how sales will go. Please spread the word! 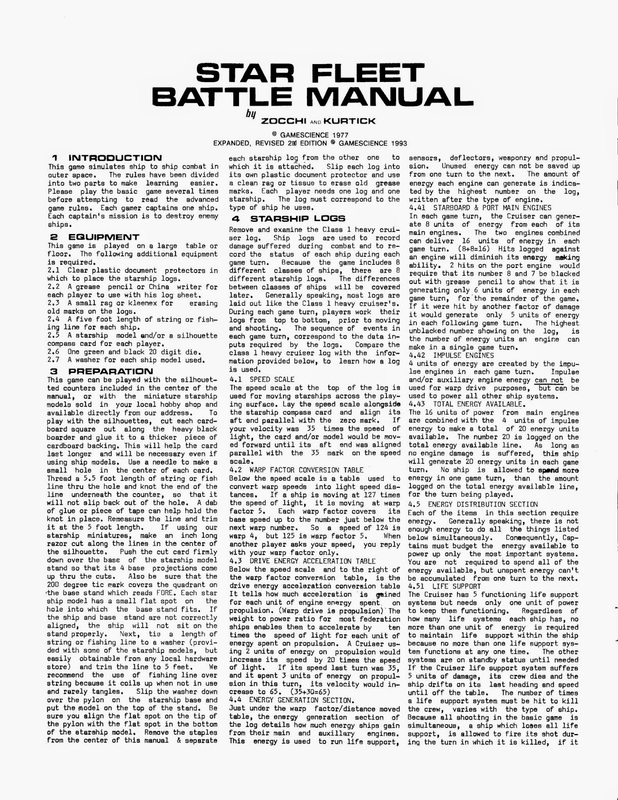 Star Fleet Battle Manual - Prepare to clear moorings! 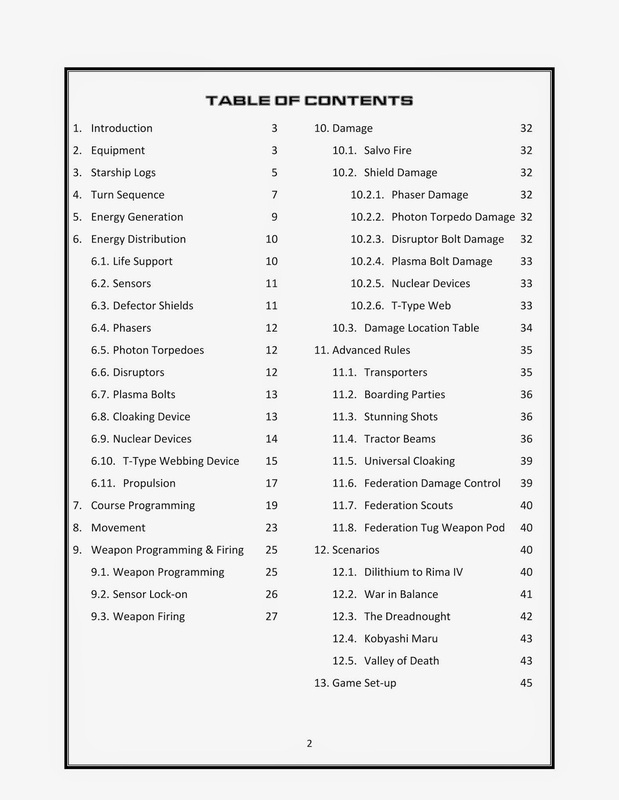 It looks like the 3rd edition of the Star Fleet Battle Manual is actually going to happen. I talked to Lou Zocchi this morning to finalize corrections to the rules and make a few changes to the compass cards that he wanted in the original edition. The plan is for the game to be available on RPGNow.com by GenCon. I will keep you posted. Just got back from Origins. I could only make it down for a short time this year. 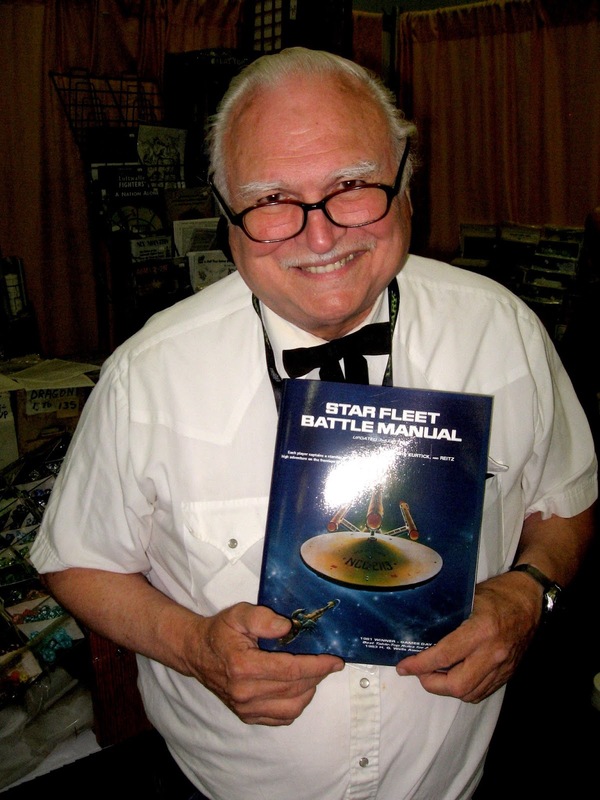 The test print ofthe 3rd edition of Star Fleet Battle Manual arrived from Lulu.com on Saturday, so I was able to give Lou Zocchi his copy. He loves it. Now we wait and see if he will allow it to go forward. It is helping that fans of the game have been stopping at his booth and asking about it. 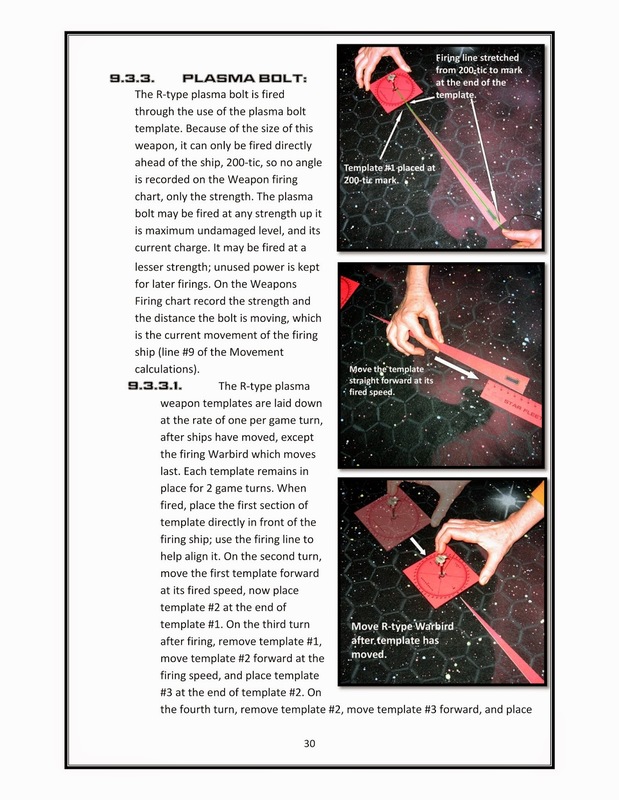 A big thanks to Thomas Tullis of Fat Dragon Games for explaining the benefits of DriveThruRPG. 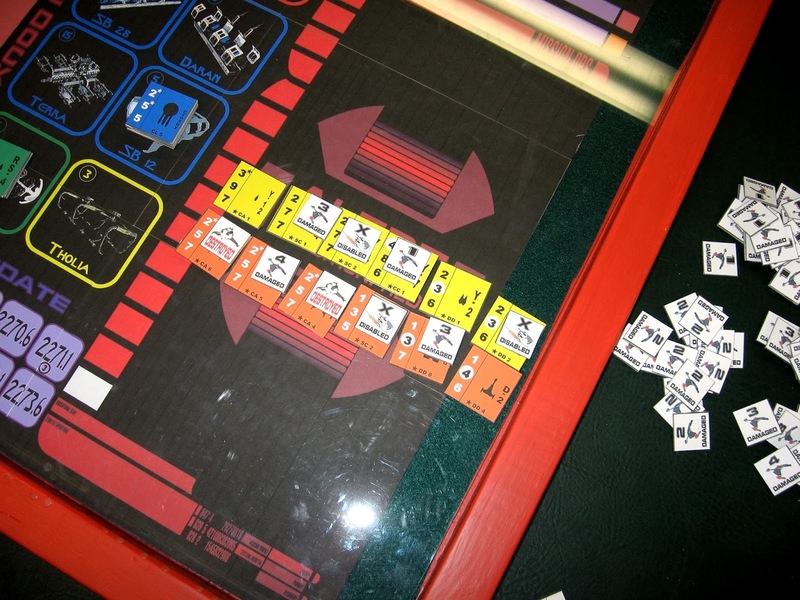 The past few weeks have been busy, but I've had time to do some more play testing on Operation Star Fleet Command. The are still no victory conditions, the fleets are still unbalanced, but I am pretty satisfied with the map board. The map board and the battleboard are now available. 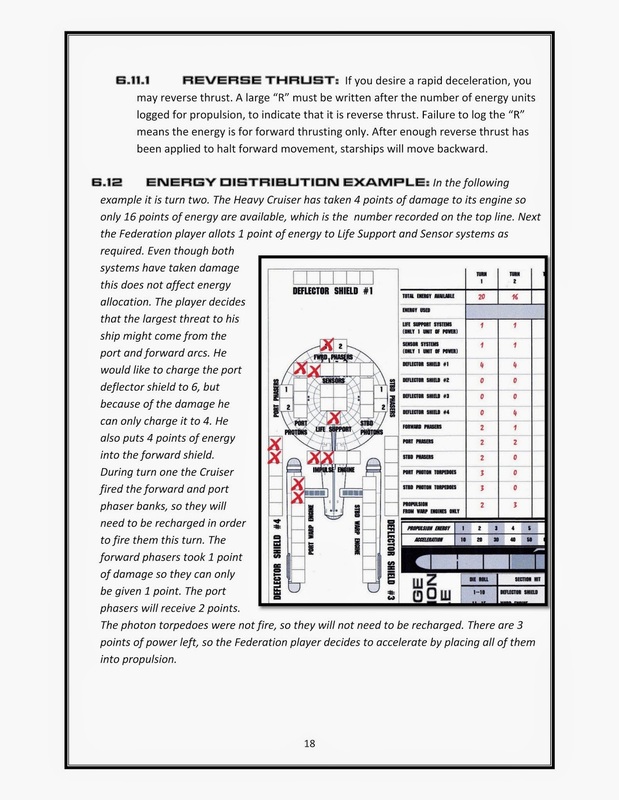 These past few weeks I have not only been working on the Star Fleet Battle Manual 3rd Edition rules (they are coming along nicely), but I have gotten a lot done on my strategic level Star Trek game. I've mentioned it in the past as Federation Space MKII, but I have decided to give it a new name. 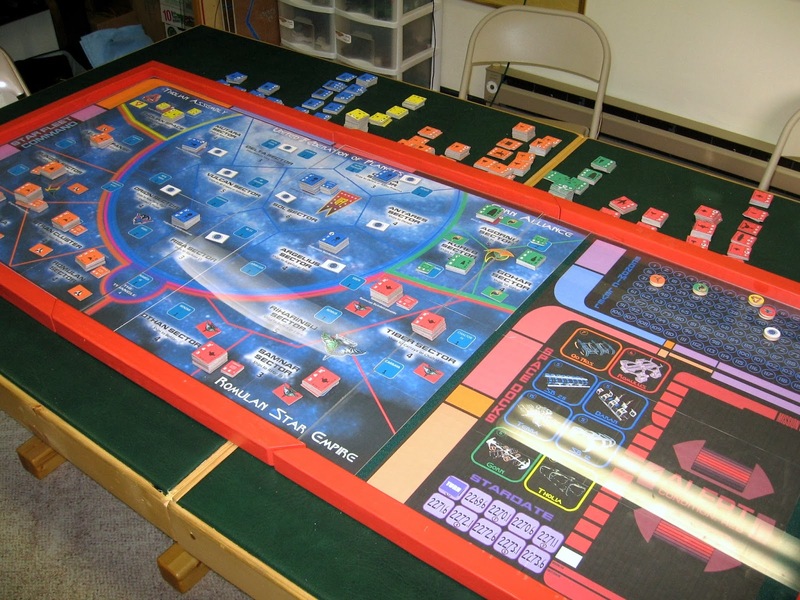 It is really not an updated Federation Space game; what Federation Space did was to inspire me to make a strategic level game set in the Star Trek universe. 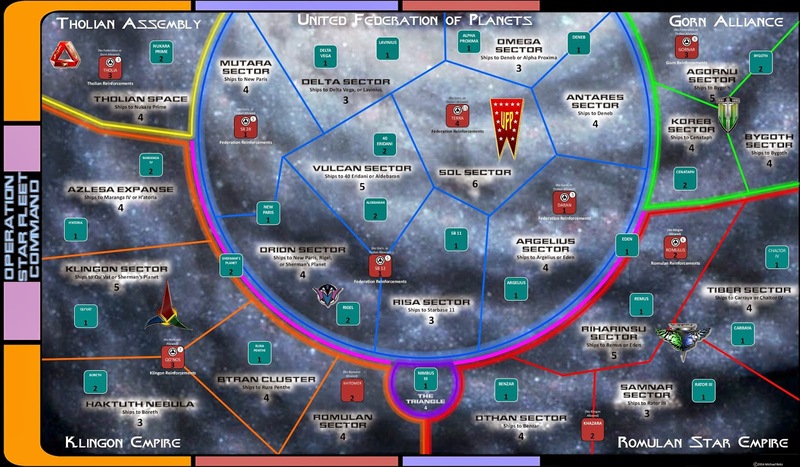 The rule system has nothing in common with Federation Space - I use sectors instead of hexes, and the mechanics are heavily influence by Avalon Hill's Victory In the Pacific. 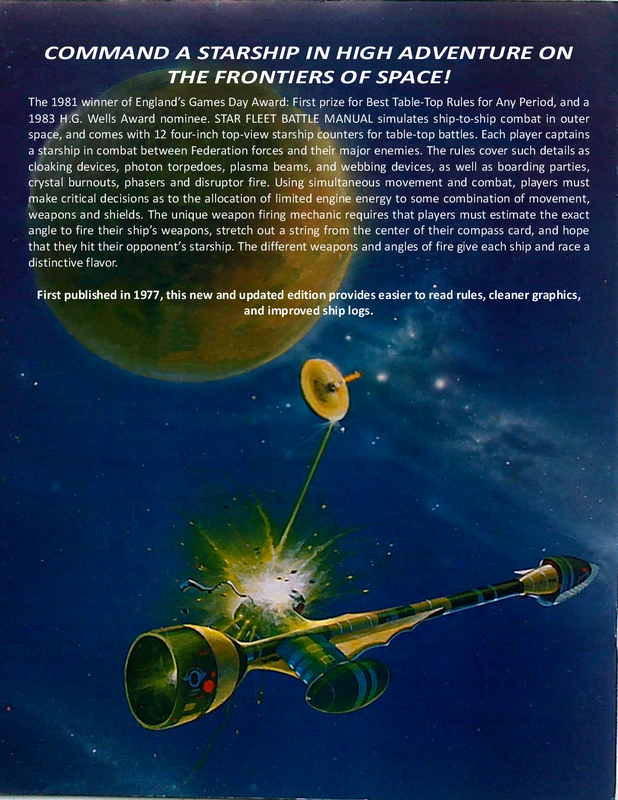 The actual universe is a blend of FASA's Star Trek RPG, and from Franz Joseph Designs. The ships come from FASA's Starship Combat Simulator system and fan creations from that game. So if you are looking for an update to Federation Space I am sorry to disappoint you - this isn't the game. I do not have it ready for playtesting at this point. I am still trying to get the fleets balanced, and I don't even have the victory conditions established. What I do have ready to share are the current rules. So take a look if you are interested. You can find them here.